It’s never a good idea to wander into a dark and eerie mansion on an even darker, more eerie, stormy night. Yet that’s exactly what The Cabinets of Doctor Arcana‘s protagonist ends up doing, unknown at the time that nothing in this place is quite as it seems… or just how deadly this place is. For unless you, the player, somehow manage to solve every puzzle within, there shall be no escape, forever trapped inside Arcana Manor. As you go about exploring room after room, you’ll be faced with “logic puzzles, word puzzles, mazes, riddles and codes”, ensuring your brain won’t get any rest for the duration of your stay. Which, as mentioned earlier, might last longer than one should prefer, if you end up never actually solving everything that comes your way (which, according to its creator, consists of 50+ puzzles). Could always subject yourself to the walkthrough I suppose – provided you’re willing to let the game mock you for doing so. Oh, the horror! This sprawling Gothic mansion has stood abandoned since Doctor Arcana vanished without a trace several years ago. Explore each shadowed corridor, cobwebbed room and secret chamber of this eerie estate to find hidden items and magical artifacts that will aid you on your mission. Can you piece the clues together to resolve this dark mystery? 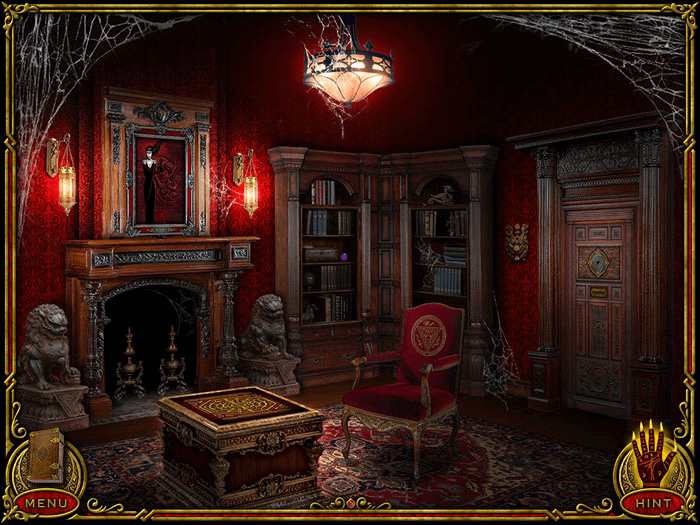 Set “in the shadowy realm of magic and illusion”, The Cabinets of Doctor Arcana seems like a game that’ll provide aspiring puzzle fans with hours of entertainment, perhaps leave them feeling a bit lost and confused from time to time as well? Ah, I do certainly hope so, as that would be quite glorious. On a related note, keep in mind that… once you begin, there’s no turning back. It’s all or nothing, in Arcana Manor. The Cabinets of Doctor Arcana will be available on Steam, come October 6.